Chandigarh Tri-city and other North Indian territories. The Cashify ScreenPro service offers screen repair of choice and one the quote is accepted by the user, the technician visits the customer’s preferred location to provide LIVE repair service. The Cashify ScreenPro utilizes its strong network of efficient and trained technicians to reduce the screen repair time from a usual 2-day duration to 30-minute express service, and at an upfront transparent cost. The company says that almost all major brands can be serviced at transparent prices and it comes with a 6-month warranty and 7-day money-back promise. As the introductory offer for the iPhone and Xiaomi Phone users, ScreenPro is offering Rs 999 off on the screen repairs. The phones models which are covered under the offer are iPhone 5, iPhone SE, iPhone 6 and Redmi Note 3 and Redmi 4A. FoneArena readers can claim Rs. 500 discount by using the code: FONEARENA. The sole purpose of our company is to ensure that customers don’t have to wait for days to get their cracked smartphone screens repaired, and to offer quality repair backed by a solid 6-month-warranty. We understand that daily life faces a stopover without a smartphone and that’s why we offer an express screen repair service to ensure an instant screen replacement. We understand the importance of customer experience and transparent pricing, therefore we do all of this at the customer’s doorstep and ensure that the repair is done in 30 minutes. With the expansion to Bengaluru, we hope that this growth continues and we are able to meet the expectations of all our customers, across regions. 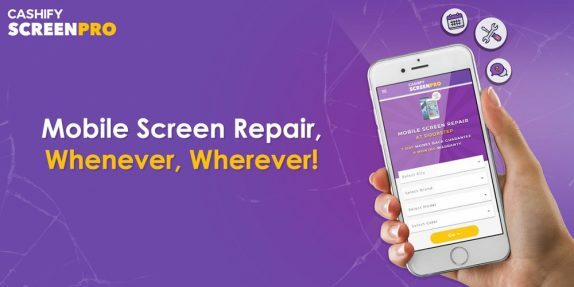 As the screen repair market for smartphones is highly unorganized across India, customers often find screen repair very frustrating and time-consuming, with the only options being nearby screen repair shops that are neither efficient nor trustworthy. Also, screen repair from these vendors often comes with no warranty for the customers, and data-theft is a possible threat. With ScreenPro, we are looking forward to filling the void and ensure express screen repair solutions with upfront warranty and money back promise. Tech-centric city like Bengaluru is a huge market for us and I am sure with our top-level services, we will become the most reliable screen repair partner for the customers. Next Next post: OBSBOT Tail is the world’s first Auto-Director AI camera – Here’s why I’m excited!